Martha Ann (Cessna) Newman, 76, of Punxsutawney, PA, formerly of Aurora, CO, passed away January 20, 2019 at Christ the King Manor in DuBois, PA. Martha was born May14, 1942 in Punxsutawney, PA, daughter of the late Wayne C. and Susan P. (Labik) Cessna Sr. She was preceded in death by her devoted husband John A. Newman in 2015 and her sister Ruth M. Cessna in 2001. 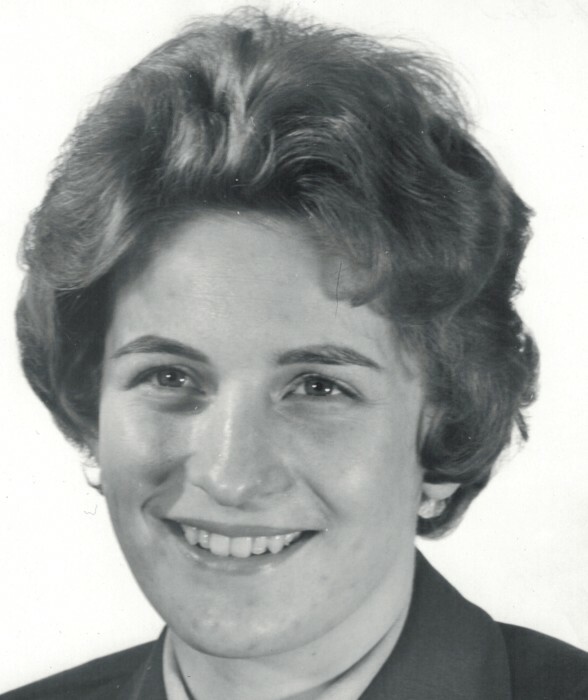 Martha graduated from Punxsutawney Area High School in 1960, after which she served a distinguished military career with the U.S. Air Force. She was assigned to various positions in personnel administration and support to include such activities as the AF Intelligence and Prisoner of War/ Missing in Action Branch within the Pentagon. She served at various Air Force Commands and activities at bases both within the United States and at Ramstein AFB in Germany. Her military career included a tour with the US Military Assistance Command headquarters in Tan Son Nhut Air base in Saigon, South Vietnam during the Vietnam War. Martha retired with 20 years of service from the Air Force operations and personnel command in the Pentagon, Washington, D.C. in 1971 as a Master Sergeant. She received numerous medals and accommodations for her excellent performance of duties during her service. God, country and family meant everything to Martha. She attended St. Therese Catholic Church in Aurora Colorado, attending daily mass for many years, before returning to Punxsutawney in April 2018 where she attended and was a member of SS. Peter and Paul Byzantine Catholic Church. Surviving are five brothers: Wayne C. (Mary Ann) Cessna of Indiana, PA, David A. (Sang) Cessna of Petersburg, VA, Andrew James (Suzanne) Cessna of Shelocta, PA, John E. (Sharon) Cessna of Punxsutawney, PA, and Raymond G. (Joan) of Summerville, PA. She is also survived by many loving nieces, nephews and cousins. Many church friends and neighbors in Colorado lovingly cared for Martha for several years. Family and friends will be received on Thursday, January 24, 2019 from 4-7 PM at the McCabe Funeral Home in Punxsutawney, where a Parastas will be held at 6:30 pm. A Panichida service will be held at 10:30 AM Friday, January 25, 2019 at the funeral home, followed by a Divine Liturgy at SS. Peter & Paul Byzantine Catholic Church at 11:00 AM with the Rev. Fr. Vasyl Kadar as Celebrant. Military honors will be accorded by the Jefferson County Honor Guard immediately following mass. Private interment will be in the Peter & Paul Byzantine Cemetery in Anita. Donations in memory of Martha may be made to S.S. Peter and Paul Byzantine Catholic Church, 714 Sutton St., Punxsutawney, PA 15767 or the American Cancer Society, P. O. Box 22478, Oklahoma City, OK 73123. Online condolences may be made at mccabefuneralhomespa.com.